"With food and fuel prices being the key driving factors, upside risks to inflation continue. The sub par monsoon outlook for this year could put pressure on food prices going ahead," Ficci President Sidharth Birla said. 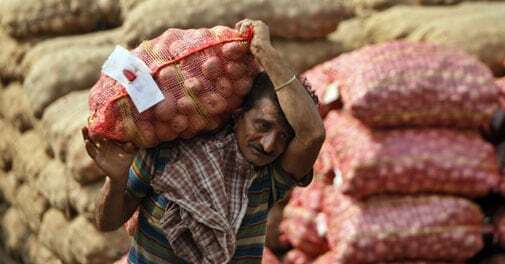 As inflation inched up to a 5-month high of 6.01 per cent in May, India Inc has said containing rising prices will be of 'utmost importance' to revive the economy, which is facing a possibility of below-normal monsoon. Rising prices of food and beverages like coffee, tea, poultry, fish and vegetables pushed up the Wholesale Price Index (WPI)-based inflation which was 5.20 per cent in April and 4.58 per cent a year ago in May. Describing the spike in inflation as a cause of concern, Confederation of Indian Industry (CII) Director General Chandrajit Banerjee said containing the price rises is of utmost importance to revive the industrial production as persistent inflation has caused interest rates to follow a tight trajectory and added to the cost of capital for industry, thereby impacting growth. "The government should consider a multi-pronged approach which includes implementation of model APMC Act, developing advanced supply chains, rationalise input subsidies, effect a moderation in MSP (Minimum Support Price), right-size buffer stock, improve agricultural productivity, focus on crop diversification, augment investment in agri-infrastructure and encourage foreign direct investment (FDI) in retail," he said. According to the data released by the Commerce and Industry Ministry on Monday, food items which became expensive during the month include coffee (23 per cent), poultry chicken (7 per cent), fish-inland (6 per cent) and tea and fruits and vegetables (4 per cent each). "Supply chains are presently very long with numerous middlemen, a number of whom needs to be shortened by connecting farmers directly to organized processors, retailers and exporters," Assocham Secretary General D S Rawat said. "This needs the scrapping of the Agriculture Produce Marketing Committee (APMC) Act, thereby allowing farmers to sell their produce freely. Similarly, taxes and commissions on agriculture products in both their raw and processed forms need to be minimized. Private sector must be encouraged to invest at the back-end to streamline value chains," he added. PHD Chamber of Commerce President Sharad Jaipuria said focusing on farm sector including the agri-supply chain infrastructure will prevent jump in prices of various commodities especially the food items which causes cascading impact on the overall WPI inflation scenario.